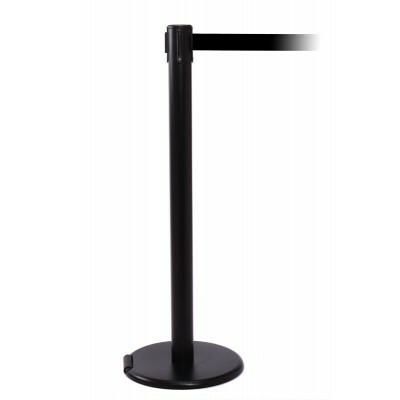 One issue with regular crowd control barriers is finding the balance between a sturdy base and easy mobility. Our wheeled retractable belt barrier system has eliminated this issue. By including a discrete 115mm wheel in the base the mobility has been greatly increased without affecting stability or the sleek modern design. 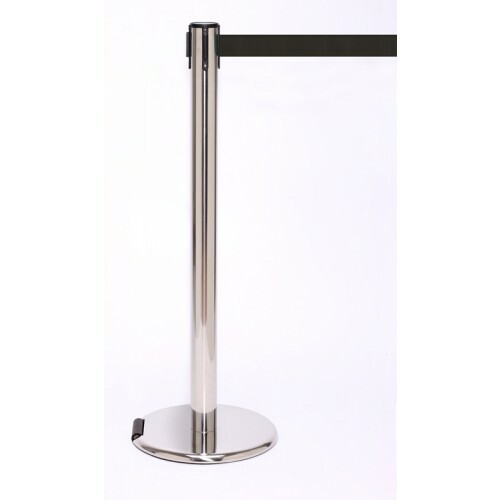 This barrier comes in either black or stainless steel and has over 20 different belt options. It also comes with a long, 3.4 meter belt as well as rubber floor protectors and a 3 year guarantee, often not included on other affordably priced barriers.